An inert flow path will prevent adsorption, contamination and loss of active and reactive compounds in gas chromatography and liquid chromatography sampling applications. Without inert coatings like SilcoNert® and Dursan®, GC and HPLC systems produce inconsistent or substandard results. SilcoNert 2000 offers part-per-billion sensitivity without costly system redesign or new process development, saving labs time while improving quality. Field testing or harsh environments like stack testing demand both inertness and durability. 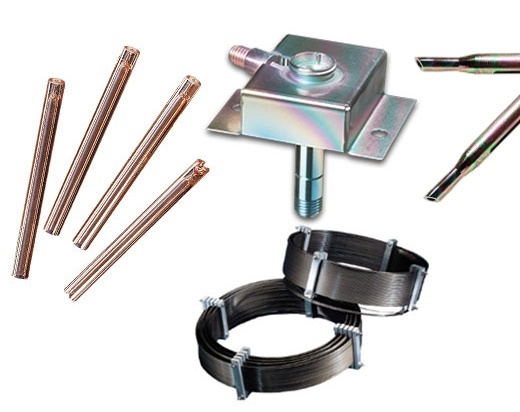 Dursan offers parts-per-million inertness while withstanding corrosive attack. Making it ideal for process analytical applications. Comparative testing demonstrates the effectiveness of SilcoNert. 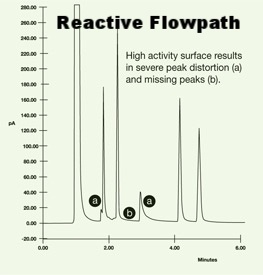 Reactive flow paths (left GC chromatograph) cause peak distortion, lost peaks, and can lead to retesting or test failures. 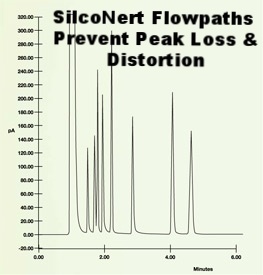 SilcoNert coated flow paths (right graph) assure complete peak resolution without distortion. SilcoTek® coatings improve performance & prevent common sampling and test problems. Get the latest in inert GC coating technology. Learn how to improve the performance of your analytical system. See for yourself how SilcoTek coatings improve productivity, increase analytical accuracy and increase process yield. Watch our video!